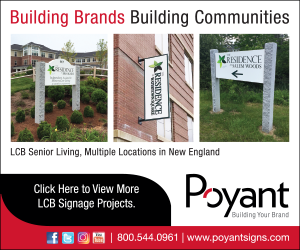 Manchester, NH – Exterior Designs, Inc. announced the promotions of David Anzalone and Aaron Fielder and two new hires, Ryan Meyer and Ryan Johnson. Anzalone has been promoted to VP of sales and preconstruction. He started at EDI in 2012 and has worked in estimating, project management, business development, and marketing. His global involvement in the EDI organization has made promoting from within a seamless transition. Fielder has been promoted to VP of field operations. He started with EDI 14 years ago as a subcontractor and has been part of the permanent staff for 10 years. He brings 30 years of residential and commercial construction experience to this role. His responsibilities include daily field operations, managing staff, and communicating with general contractors and distributors in the field. Exterior Designs welcomed assistant estimator, Ryan Meyer, to its team. He brings years of planning, budget management, and client relations to this role. His duties at EDI include project budgets, providing value engineering options, and communications with general contractors. In addition, EDI brings assistant project manager, Ryan Johnson, onboard. As a previous owner of a home renovations business, Johnson is no stranger to the industry. He brings over 18 years of both construction and project management experience to this role. His duties at EDI include start-to-finish project management and client communications.